How does 3D flooring help you to promote your business and products? Do you suffer from excessive advertising costs? Have you got tired of repeating propaganda ideas and the inability to impress your client? Do you confront the negative impact of all this on your sales? Here is the best solution for all of these problems, it’s the promotional 3D epoxy flooring. Today, we will offer you some innovative ideas for using epoxy floor painting and it's promoting 3D flooring choices which you can use to promote your product, raise the awareness of your brand, and advertise a new product or offer so far. Epoxy is a material that is used in the coating of floors, 3d walls, and 3d ceilings, whether in the interior or the exterior designs, in homes, public places, or even commercial places. Furthermore, it’s also used in the coating and insulation of swimming pools and many other uses for this special type of paint. In the following, we will discuss in detail the choices offered by the 3D floors made by Epoxy in your promotional campaigns that of different and diverse goals. What can you do using 3D epoxy flooring? If you compared Epoxy to other types of floors or billboards, it is undoubtedly the longest and the most durable and resistant to high pressure, humidity and skiing. Such a long life and a high endurance give you more choices when you use it to create a commercial 3D flooring for business, and in all of these choices, you will find it less expensive comparing to the size of the impact you will make through it. 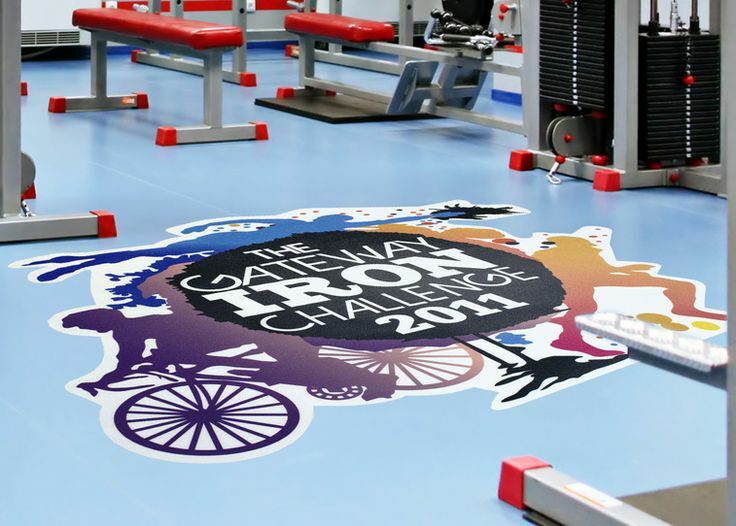 If you are a marketing manager or a founder of an emerging company, if you are working on the deployment phase and aiming to increase the awareness of your brand among your targeted customers; then 3D epoxy floors can help you to achieve your pursuit. 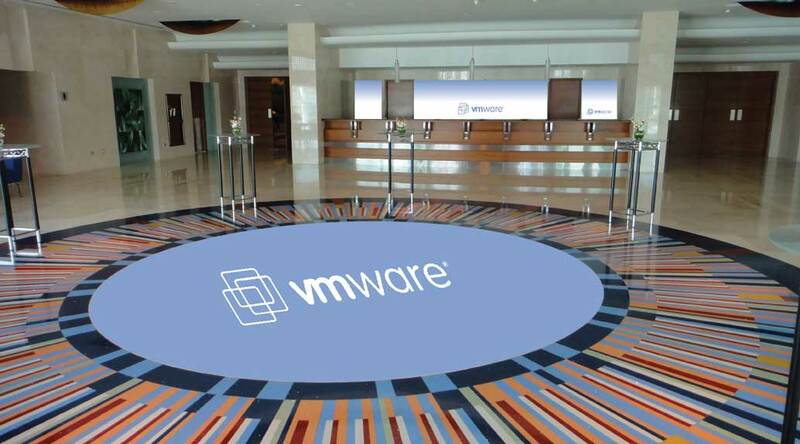 You can create a commercial 3D flooring on a few square meters that showing your logo in many places such as the entrances to shopping malls and main roads and also at the entrances of your various branches or customer service centers. 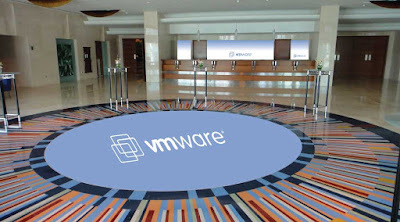 If you are working in a hotel or club, you can install this 3D floor that shows your brand in the dining halls, pool sides, or on the pool floor itself. We have previously published an article on how to use 3D Epoxy flooring in swimming pools. When you drive your car to move from one place to another and pass through the city streets or highways, you meet hundreds or thousands of billboards whose owners aim to tell you something new about their work. By the time, many people do not pay attention to all these repeated and monotonous paintings, but what if you see an advertisement for a new product but this time the advertising was on the ground you are walking on, a (three-dimensional) 3D floor featuring a 3D picture of your new product with the message you want to convey to people, it will catch your attention for sure because people only care when they see something new, or when they see something normal but in a new and different way. 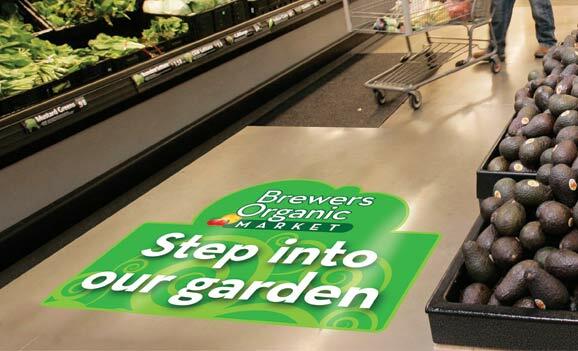 You can create this commercial 3D flooring that advertises your new product on pedestrian routes only, or in the waiting halls, dining halls in the malls, or even on the roadsides inside the city, or you can make it in any place it deems appropriate for that. 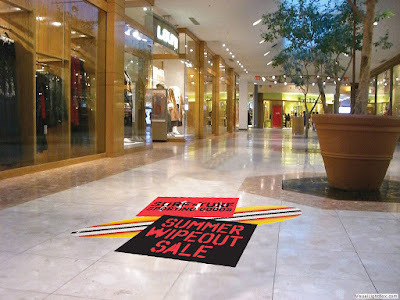 If you are an owner of a shop or a restaurant in a large commercial mall, or in a market, or even in a commercial area, and you decided to offer a discount for a long time, then you can advertise this discount using the promoting 3D flooring in the entrance of the mall or the market, or in the entrance to your shop or your restaurant, alongside with billboards. This will be more interesting than all other advertising boards and will achieve your goal with less cost and less effort but with much greater impact and a funny idea. Later, you can replace the image or graphic on the floor with another graphic or another ad, whether for a product, a discount, or whatever else you want. 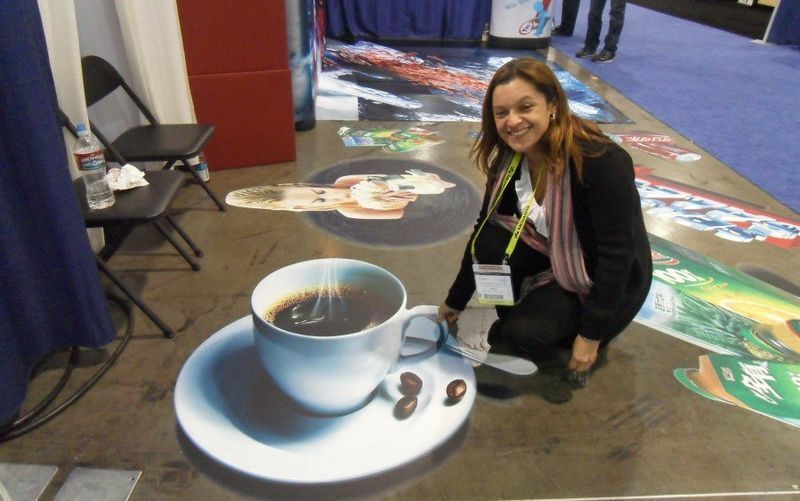 We will explain later how you can change the 3D image on the floor in detail step by step. All of the above ideas were propaganda ideas to be carried out outside your commercial shop or company in order to attract the attention of your customers and to direct them to the place of your commercial shop or to the place to complete the deal, but what can you offer them using the 3D floors to impress them more and more after their arrival to your commercial shop, or company? 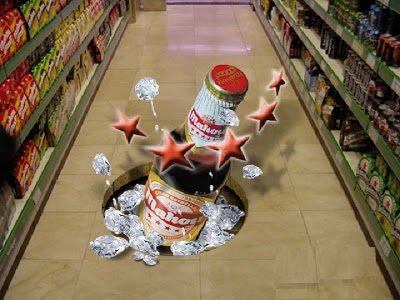 You have many and varied options, including, for example, installing a 3D floor at the entrance of your commercial shop or company, either to welcome your customers, or to give an atmosphere of fun or humor at the beginning of their entry to the shop, which makes it much easier and more likely to complete the purchase. Another option is to install a 3D floor inside the shop itself for different purposes. If you are a shop for selling diving, snorkeling, or beachwear items, then, for example, you can install a 3D floor that contains elements belong to the sea, such as the beach, waves, dolphins, coral reefs, and others. If you a shop for kids toys, then, for example, you can install an Epoxy 3D floor that featuring Superman, Batman, Spider-Man or Disneyland characters depending on the type of games and the age of the children you sell to. In this way, you can use a 3D epoxy flooring design that suits the nature of your business or your targeted audience. These were some of the options that we suggest to you, after you finish reading this article, and learning more about 3d flooring for business, their installation, and their characteristics, you will be able to create more creative uses that suit your business nature, circumstances, and your targeted audience. But what is the nature of the design placed on the advertising floor? In the past, the choices available were either to call a 3D professional painter to execute the paintings you ask for in the place you specify, which costs you a lot of money in exchange for lower durability and lower age, or to print the design you need on a sticker for the floor and paste it, it costs lower but durability and age does not exceed days, and it was difficult to clean. Now, thanks to epoxy flooring it became easier, the transparent epoxy floor coating enables you to print the design of your choice on a banner placed between the layers of the floor as we will explain later and then to be coated with the epoxy transparent layer to become more reliable, durable, and easier to clean. You can also hire a 3D printer to perform the painting you need, but on the banner, this time, not on the floor directly, and then use this painting inside the layers of epoxy floor coating. Now, How to install promoting 3D epoxy flooring? In the beginning, we will talk about the floors on which the epoxy floor can be installed, such as concrete, vinyl tiles, or marble. Here, we will discuss in detail the steps required for each floor in order to be suitable for epoxy floor coating. For example, in concrete; it needs to be scrapped, softened, and sometimes it could need a new soft layer. Each flooring type needs some steps in order to be prepared for the installation of Epoxy flooring on it. 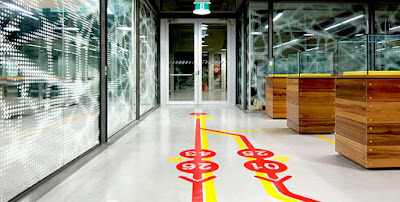 How to install a 3D epoxy floor with the graphic or the image you want to it. Prepare the surface by covering minor defects and cleaning oil and grease stains from its full depth. Pour the processed epoxy into the required areas and distribute evenly on the ground. Apply the three-dimensional image you have chosen in order to give an amazing fantasy design to the floor. Wait 24 hours to allow the work done to dry. Pour the transparent epoxy over the photo and distribute it to every part of the floor evenly to make a layer with a thickness of 4 mm. We have previously published a detailed article on how to install a 3D Epoxy flooring, you can check from here 3d Flooring Installation. 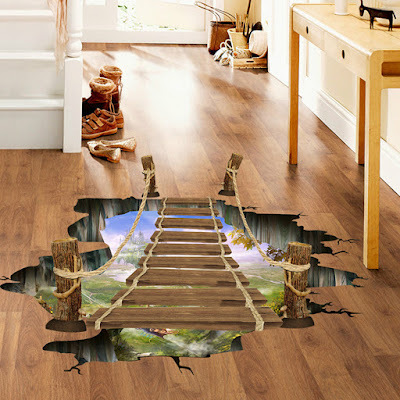 How to remove and change the 3D floor murals? 1- Clean the old floor very well, and if it has any kind of damage, you'll have to fix them. Or simply in order to avoid all probabilities of bad installation, you can apply a new epoxy layer over the old floor. Apply the new advertising picture on the floor using epoxy and start to drain the air located under the picture in order to get a flat image and a smooth surface. Use a rigid plastic or metal scraper to scrape the surface of the old epoxy floor as much as possible. At the same time heat the resin to reduce its viscosity. Remove the remaining material using a solvent (caution when working with solvents and provide a sufficient level of ventilation). Allow the solvent to dry before re-coating. 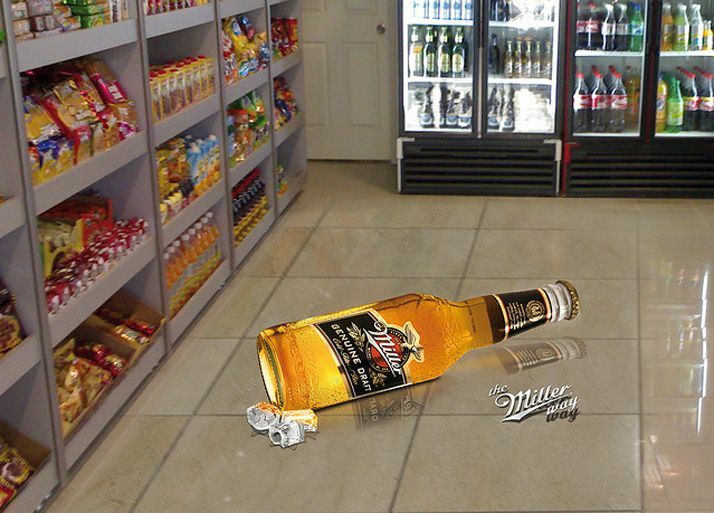 Apply the new advertising picture on the floor. Drain the air located under the picture in order to get a flat image and a smooth surface. And even if you preferred the first option for now as it is easier, with the time you will have to remove the old flooring as it will be of a large thickness that will hinder walking on it, or even it could prevent you from putting any extra layers over it. So, How to maintain my Promoting 3D floor? First, we will remind you with the tools you need and the instruction to follow in order to clean and maintain the 3D Epoxy flooring with the high pressure it is exposed to every day. External places should be prevented by chemical exposure, and that is a very important point. Avoid the heavy loads and the direct impact that require a heavier build or thicker floor system. Avoid thermal shocks, it is an important precaution that must be considered. Thermal shocks; such as steam cleaning of the floor surface will cause a loss of bond from thermal expansion if the floor system is not chosen properly. You better specify a floor coating system. For internal places, wet mopping and drying are typically the only upkeep needed to avoid the buildup of dirt particles on and through internal places. Now, we will answer these questions. How many times is it supposed to clean the floor every day or week? 1- Sweep your floor from dust and dirt regularly (As needed). 2- Wash your floor weekly in order to keep them looking great (Others prefer to do that once every 2 weeks – 1 Month). 3- It is necessary to clean the spills and leaks if any as fast as possible with a cloth or wet wipes. 4- If you like to restore the flooring shine, use a polishing machine with soap-based cleaners. How to deal with the dirt and pigments on the floor? Scrub the floor twice a year with a foam mop, hot water, and ammonia. 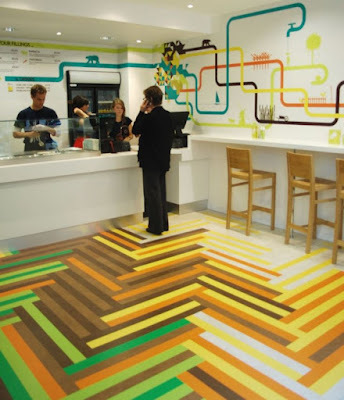 What cleaning chemicals can you use with this type of flooring? 1- Do not use any abrasive cleaning chemicals on the floor. 2- Use trisodium phosphate to remove the creases. 3- Use neutral soap or detergent to mop the floor. 4- It is necessary not to use the detergent at a level of concentration higher than the level recommended by the manufacturing company. How can you handle and do maintenance if there is damage to a part of the floor? Use a transparent epoxy floor painting to renew or refinish your flooring. How does 3D epoxy flooring cost per meter square? You will have a 3D flooring murals that never fades. It has a very long life compared to other types of paints. 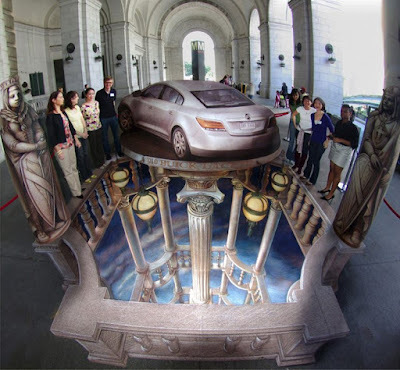 3D flooring for business will make a comprehensive change to the advertising method of your business that does not entirely commensurate with its price. We have prepared a previous topic of the estimated prices of the 3D floorings, you can enter and see for yourself all the types and prices available.